By Lindsay Stein and Adrianne Pasquarelli . Published on February 08, 2017. Mattel has hired a Publicis Groupe team comprised of Mediavest Spark and DigitasLBi to handle its $150 million media account in the U.S., according to people with knowledge of the matter. The duo, dubbed "Team Mattel," won the media planning and buying business following a competitive review and will work on Mattel's entire brand portfolio, such as Barbie, Fisher-Price, Hot Wheels and American Girl. The team will lead Mattel's investment, data, technology, content and analytics strategy and execution, Ad Age has learned. 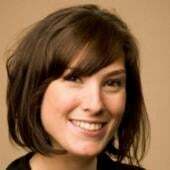 Both DigitasLBi and Mediavest Spark declined to comment. According to people with knowledge of the matter, the two agencies comprising Team Mattel will work together closely on all aspects of media, but DigitasLBi will focus mainly on content, digital media and programmtic. Mediavest Spark will concentrate on planning and offline buying. October, Mattel sent out a request for information to agencies, Ad Age previously reported. Mattel said that MediaLink played a central role in the review, which was led by Andrea Kerr Redniss, senior-VP, and Kasra Jafroodi, senior associate, at the consultancy. Publicis Groupe's Starcom was the incumbent on the media planning account, while WPP's Mindshare had media buying responsibilities for Mattel in the U.S. Representatives from the two incumbents were not immediately available for comment. "Our goal is to create engaging experiences that inspire the wonder of childhood," said Catherine Balsam-Schwaber, exec VP-chief content officer Mattel, in a statement. "We are focused on rapidly and dramatically improving our ability to engage our consumers on every screen and platform. With their proven expertise across digital platforms, Mediavest Spark and Digitas are well-positioned to help advance this goal, and we are excited to get to work." According to people with knowledge of the matter, the two agencies comprising Team Mattel will work together closely on all aspects of media, but DigitasLBi will focus mainly on paid search, social, display and analytics. Mediavest Spark will concentrate on buying and strategy. Last year, Mattel signed a two-year deal with crowd-sourcing agency Tongal for more original content for American Girl, Thomas & Friends and Hot Wheels. BBDO has also expanded its creative agency duties with the company beyond Barbie to include Hot Wheels and Fisher Price. In 2015, Mattel spent $113.5 million on measured media in the U.S., according to Kantar Media. It's been a rocky road for Mattel of late with slumping sales and a plunging stock. On Wednesday, Margaret Georgiadis, a former Google exec, begins her tenure as chief executive. 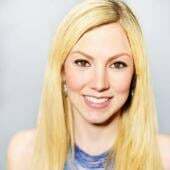 Ms. Georgiadis, who also worked at Groupon and Discover Financial Services, succeeds Christopher Sinclair, who had led the company since 2015. She's expected to help the struggling Mattel continue its quest for relevance. After the toymaker lost the licenses for the lucrative Disney Princesses and Frozen franchises two years ago, it has been trying to re-engage shoppers by revamping its Barbie line and sending out strong marketing messages of empowerment. Last year, Mattel incorporated more ethnic and size diversity into its Barbie dolls, which helped reverse long-faltering sales of the collection. 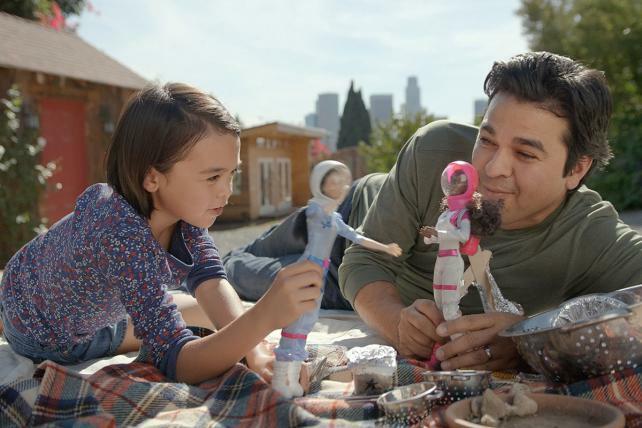 The company recently ran a well-received commercial in which dads play Barbie with their kids. It's also been injecting more technology into its toys and adding more episodic marketing content for brands like American Girl in order to keep up with an increasingly more digitally savvy consumer. Yet sales continue to slide. In late January, Mattel reported missed earnings estimates and reported an 8.5% drop in revenue over the year-earlier period to $1.83 billion for the fourth quarter, which includes the crucial holiday shopping season. The news sent the stock plummeting 17%; earlier this month, Mattel's stock sank to a 52-week low. The company blamed changing shopping patterns for the earnings miss. Michael Kassan, MediaLink Chairman and CEO, however, said those figures are misleading. "Mattel managed to generate $600 million in incremental revenue in 2016, essentially filling the Disney Princess revenue gap." Rival Hasbro had a rosy holiday. The company said net revenue for the fourth quarter was $1.63 billion, up 11% over the year-earlier period, and its stock recently had its best performing day in two decades. Sales for 2016 reached a record $5 billion. According to market research company NPD Group, toy sales last year were up 5% to $20.4 billion.